I could watch Pujara bat all day. He's such a barnacle that every time he steps out of the crease into his cover-drive, it's like watching a rooted thing become nimble. And then before settling into his guard again, he'll grip the bat in both hands, hold it up in front of him and shake it a little. I like to think that he's testing the splice in the way anxious boys used to when the one bat in the game began to creak. I like his silly-looking stance: crouched, his bottom sticking out in an undignified way, and the bat, gripped low, meeting the ground at an acute angle. There's a home-made quality to it that suggests it's all his own. When he was batting with the tail at Southampton having made his century, he played a lofted on-drive and a commentator suggested that he was entering a claim for the limited overs teams, auditioning for Captain Kohli who leads India in all three formats. It was a kind of joke because Pujara was ruled out of the ODI and Twenty20 reckoning a long time ago. He has two dodgy knees which make everything he does on the field (apart from that cover drive) look like a video clip with a few frames missing. The limber athleticism that the limited overs game demands is not, by general consensus, his thing. Even in Tests, Pujara's running between wickets is the stuff of stand-up comedy. When he was run out in the second Test, left for dead by his Captain, who first accepted, then reneged on a run, commentators rolled their eyes and noted he had form in this style of suicide. There was something hapless about Pujara coming into this series. Even his earnest attempt to get to grips with English conditions by playing for Yorkshire earlier in the season seemed to backfire; his average of barely fifteen runs an outing helped keep him out of the team for the first Test. Included in the team for the second Test, he failed in both innings after getting a start, once via that run out and once when he went to hook (!) at the stroke of lunch and was caught. Sanjay Manjrekar elaborated his thesis on Pujara's technical deficiencies in his best more-in-sorrow-than-in-anger manner. On social media, discriminating, numerate aficionados ran the numbers for Pujara's scores outside Asia and showed him up as a home-advantage hero. This is the peculiar, off-centre pleasure of championing Cheteshwar, the massed wrongness on the other side. There is a gymnastic quality to it: throngs of pundits, paid and pro bono, first litter commentary's highway with banana peels and then, in coordinated pratfalls, land on their backsides together, making thunder. 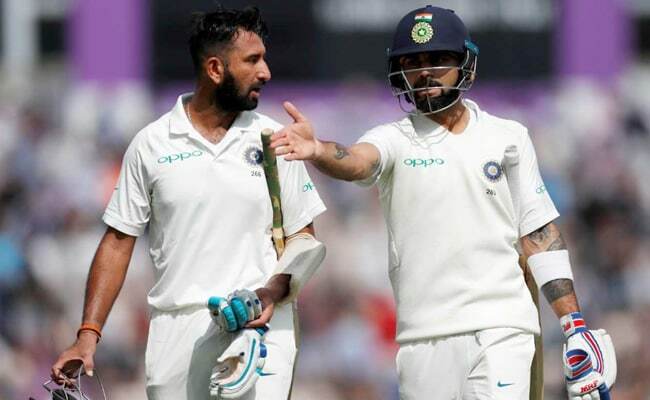 When Pujara made a fifty in the Trent Bridge Test, it was a scratchy effort eclipsed by Kohli's performances in both innings. It wasn't, as American lawyers like to say, dispositive. It was Pujara being Pujara: edging, prodding, sucking up momentum, stalling proceedings, except this time in a way that happened to work for India. The bear-baiters in cricket's studios and online colosseums kept heckling...in murmurs. Then came the hundred in Southampton. Chasing a total when the middle-order collapsed once Kohli, the team's karta, fell short of fifty, Pujara produced the perfect knock. He was all application till there were no recognized batsmen left and then scored runs in a hectic, up-tempo rush, producing the unfamiliar lofted boundaries that prompted the amused observation about his limited overs ambitions. Nasser Hussain couldn't understand how Pujara had been left out for the first Test. Graeme Swann said that England would snap your hand off if you offered them a player like him. But these were rational outsiders stating the bleeding obvious; there was little to savour in that. The real payoff for Pujara's partisans came a little later: the sheared metal sounds of Pujara-sceptics reversing. For gourmands of epic fails, Sanjay Manjrekar's comments in the studio show after Pujara's century were rare white truffles. The gist of these comments was condensed into a tweet: "Any kid thinking I don't have enough talent to make it, look at Pujara, that's your role model right there." Bear in mind that Pujara's knock was chanceless in a series where batting has been a thicket of edges. It was also unbeaten: every run except for the opening stand was made in his company. 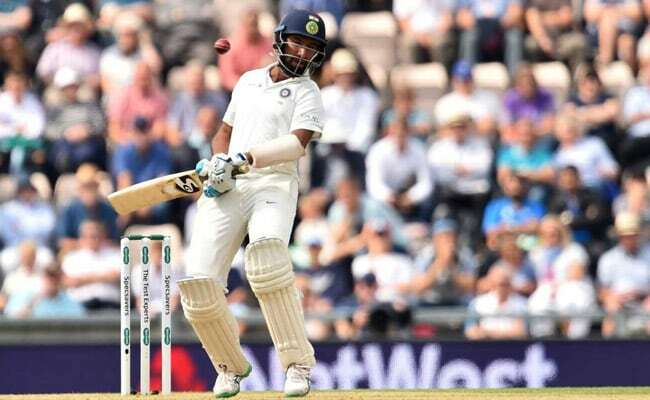 On a pitch where batsmen on both sides (with the exception of the precocious Sam Curran) had struggled in the first innings, Pujara produced the complete performance...and the lesson that Manjrekar drew from it was that men of small talent could rise above themselves. Manjrekar was a first-rate top order batsman who didn't do as well as he should have. 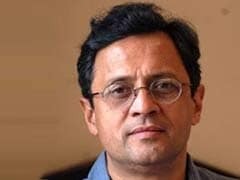 His persona as a player-commentator is a meld of self-deprecation and truth-telling: unlike many others of his ilk, he tries not to be a cheer-leader for the prevailing dispensation. Nasser Hussain and Michael Atherton, in their different ways, pull off this difficult trick-cold-eyed, yet good-humoured expertise-with some flair. Manjrekar, though, sometimes comes across as an exacting ex-player who holds contemporary players to high standards he thinks he didn't meet...and then fails them. In his assessment of Pujara, Manjrekar is part of a broader contemporary backlash against the tendency to romanticize Test cricket and its allegedly singular virtues. The fastidious disdain for limited overs formats, the hostility to players who emerge from these codes to stake a claim to Test selection, has provoked many intelligent followers of the game to push back against this old-world snobbery. Pujara, given the kind of player he is, has inevitably become collateral damage. Pujara is, by default, the Test tragic's beau ideal. He doesn't play limited overs cricket and is therefore a 'pure' Test cricketer. This is not by choice: Pujara, like any modern player, would like to play these lucrative formats, except he isn't good enough. 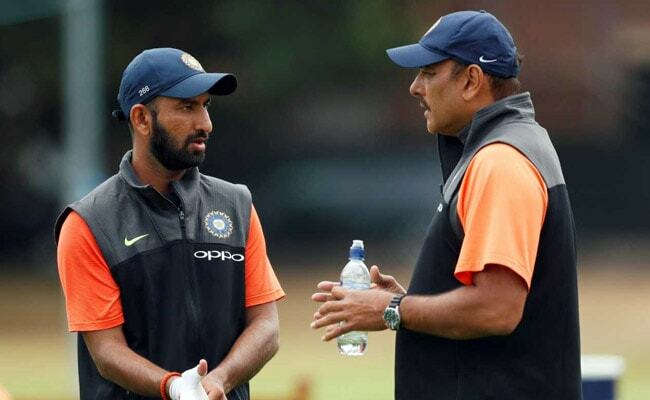 Though players shouldn't be held responsible for their champions, the fact that he has become something of a rallying point for 'proper' cricket-wallahs has prompted the other side to make Pujara a lightning rod for their impatience with Test-mystification. To be fair to his critics, Pujara is in some ways an easy target. The tentative front-foot press, the frequency with which he is clean-bowled, the poor away record, the inability to wrest the initiative from the other side, the tendency to stall into strokelessness, make Pujara the Anti-Kohli at a time when the captain's combative virtues have been resoundingly vindicated by his record. Which makes this the perfect moment to be a Pujara partisan. This flawed but true batsman combined self-denial with stroke-play to salvage a failing innings when the game and the series were in the balance. He cut, drove (off both feet), flicked and upper-cut his way to his hundred. He did this without any servings of luck while playing, for the most part, a lone hand. He built upon his fifty at Trent Bridge and showed that his technique was up to the challenge of English conditions. The lesson we should take away from this is not Manjrekar's perverse conclusion that the mediocre can rise above themselves, but the important truth that while Test match technique and temperament come in many shapes and forms, common to all their manifestations is the willingness and ability to consistently play the conditions. This truism is best illustrated negatively via players who lacked this quality: Vinod Kambli, Gautam Gambhir, Yuvraj Singh and currently, Rohit Sharma. Their champions cite, in extenuation, averages (Gambhir and Kambli have impressive career numbers) and talent (Yuvraj and Rohit are reservoirs of potential); what they ignore is their inability to either consistently impose themselves on the conditions or to adapt to them. 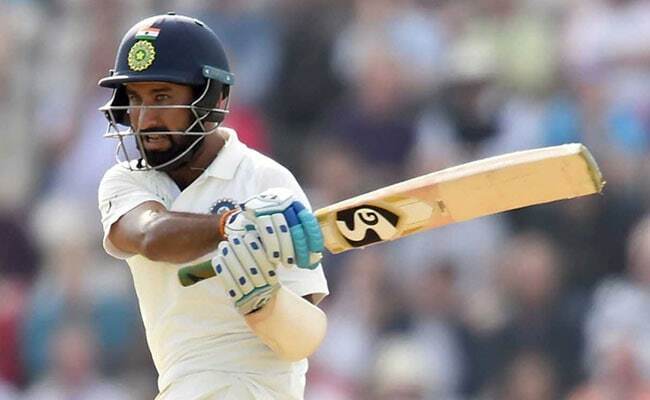 Pujara, then, is important not only because he is the real deal as a Test match batsman, but also as a litmus test. In the great echo chamber of cricketing conversation, beware pundits who praise Gambhir's pugnacity or Yuvraj's ball-striking skills or (as a last resort) Sharma's first-class averages to mourn the injustice of their foreshortened Test careers. Discriminating followers of Test cricket knew early on that they lacked that certain something. The secret joy of watching Test cricket is vindication: the shabby pleasure of being right which, happily, requires others to be wrong. Had India won at Southampton, Pujara's achievement would have been amplified, but even in defeat, we should take a moment to mark that century's excellence, to enjoy the hush on the interwebs as silenced trolls strain for their second winds.